The amount of guar gum added to foods is considered safe, but over-the-counter supplements can cause side effects, from temporary gut problems to the more serious risk of blocking the throat or intestine. Talk to your doctor before taking guar gum if you're diabetic or use prescription medications. Seek immediate medical attention if you have chest pain or difficulty swallowing or breathing after consuming guar gum tablets, powder or other supplements. 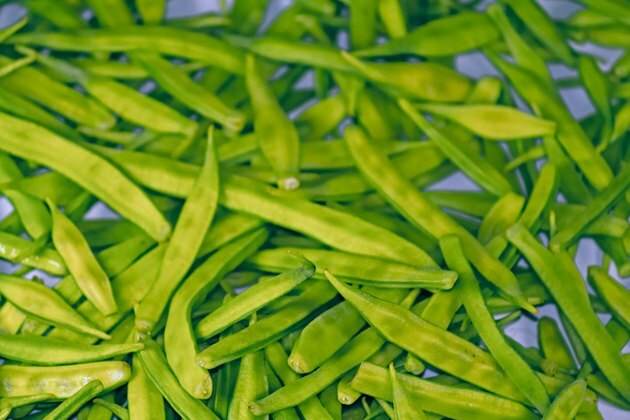 Guar gum comes from the seeds of the guar or cluster bean plant. About 20 percent to 40 percent of the guar seed consists of galactomannan gum, which forms a thick gel when mixed with water. You'll find guar gum listed in the ingredients of many different products, such as baked goods, dairy products, frozen desserts, puddings, jams, sauces and gelatin mixes. Its gumlike quality thickens foods, improves texture and stabilizes ingredients. Guar gum is also added to foods to boost fiber content. Some over-the-counter products contain dry granules of guar gum. In this form, guar gum absorbs so much water that it can swell up to 20 times larger than its normal size. Then it may get stuck in the esophagus or the small intestine. The U.S. Food and Drug Administration requires any product containing a dry form of guar gum to put a warning on the label stating that the product may block your throat or esophagus and cause choking. Do not take guar gum supplements, such as those sold for weight control, if you have difficulty swallowing or an intestinal obstruction. Be sure to carefully follow instructions on the package. Don't use more than the recommended dose, and always drink at least a cup of water or more, depending on the directions. Large doses of guar gum can interfere with the absorption of medications and minerals, reports the Linus Pauling Institute. If you take acetaminophen or prescription medications, especially those used to treat diabetes and heart disease, talk to your doctor to be sure guar gum supplements are safe for you. Consuming guar gum powders or crystals with a meal significantly reduces the absorption of antioxidant carotenoids, such as beta carotene, lycopene and lutein. These antioxidants are found in carrots, tomatoes, peas, brussels sprouts and green leafy vegetables. Because guar gum is a type of soluble fiber, it offers the benefits and side effects associated with fiber. On the positive side, it helps lower cholesterol and prevents spikes in blood sugar after you eat. Guar gum also has a laxative effect because it adds bulk to stool, which helps it move through the colon, according to a study in Digestive Diseases and Sciences in September 2014. Consuming too much fiber causes gastrointestinal problems, especially if you're not used to eating fiber. You may experience abdominal pain, nausea and diarrhea, reports Drugs.com. Healthy bacteria living in the large intestine ferment guar gum, which produces excess gas. Problems with too much gas should go away as you continue to use guar gum.